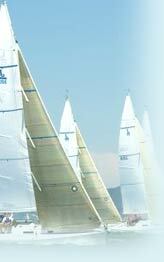 Already listed with our Phuket regattas - boat & yacht Races directory? Welcome to a world of boat racing in Phuket, the famous competition among Thai and foreign tourists. Phuket racing holds during the year. Find the best one for your racing to join a great racing competition in Phuket. See boats and yachts from out listing to help you to save time. Asia Yachting is a famous experienced Yacht management operating to Thailand, Malaysia, Indonesia and the Andaman Sea.